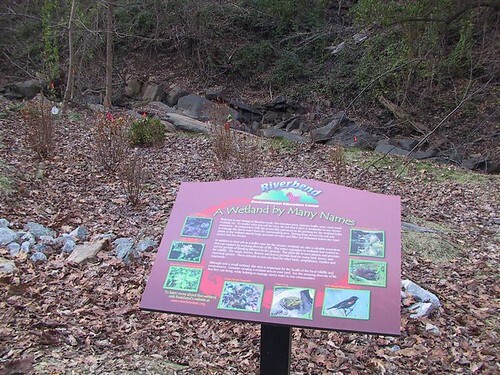 When installed in a highly visible public place, and accompanied by attractive and informative signage, an on-the-ground Best Management Practice (BMP) project turns into an effective public education and outreach tool. This is the case at the Riverbend Environmental Education Center (REEC) in Gladwyne, Pennsylvania which hosts over 10,000 visitors each year. Nestled among 30 wooded acres, the REEC parking lot sits on the banks of Saw Mill Run, a direct tributary to the Schuylkill River. Stormwater runoff from both the parking lot and Spring Mill Road formerly flowed directly into the stream, contributing to stream bank erosion and threatening the delicate stream ecosystem with contaminants such as sediment, chemicals, litter, and engine fluids. 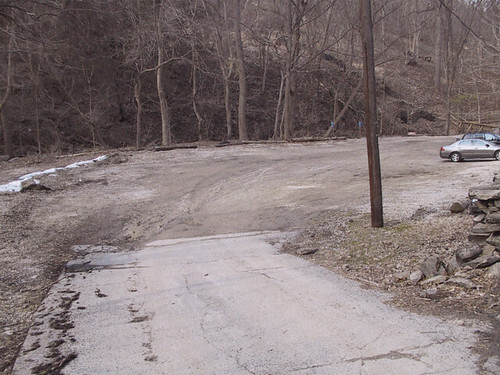 Frequent wash-outs of the compacted ground lot were also a problem. 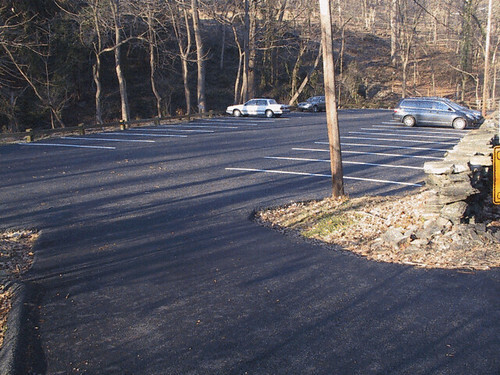 Funds from the Schuylkill Watershed Initiative Grant and other sources allowed REEC to design and construct some new solutions for its parking area problems. The solution was a pervious parking lot with bio-infiltration areas that slow runoff, absorbing and filtering more stormwater before it reaches the stream. The new permeable parking lot and bio-filtration area is now the first stop on every REEC public tour. Stormwater sinks through the new surface into an underground storage bed where initial filtering and ground infiltration occur. From there, the water enters the bio-filtration/wetland area, continuing the filtering and absorption processes as plant roots absorb large amounts of water. As a result, surface water is improved, stormwater velocity is reduced, and local groundwater is recharged instead of being completely lost in damaging storm flow. With the prominent location of the parking area and educational signage, visitors cannot visit the Riverbend facility without learning about the latest in porous pavement technology and the importance of stormwater management. 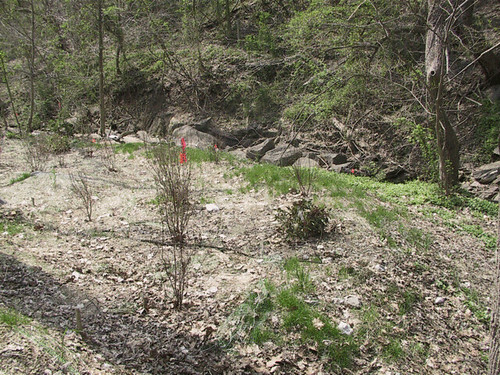 To further the educational value of this project, REEC offers regular programs featuring the porous pavement and bio-filtration BMPs to educate landowners, municipal officials, builders, developers, and the general public.